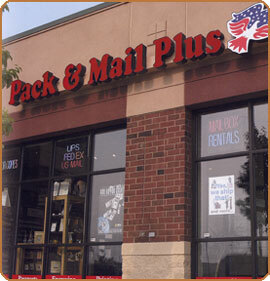 Here you will find the packing and shipping franchise business opportunity directory for hottest franchises for sale such as Aim Mail, Business Center Development, Business Partner, Craters and Freighters, EcoBox, Express One, Fedex/Kinkos, Globaltranz, Goin' Postal, Inxpress , Mail and More, Mail Box Stores, Mail Boxes Etc, Mail Post, Mailbox It, Navis Pack and Ship Center, Packaging and Shipping Specialists, Pak Mail, Parcel Plus, Postal Annex, Postal Connections, PostNet, Relay Express, ShipOnSite, SOHO Hero, Sunshine Pack & Ship, The Service Source Shipping and Freight, Unishippers, United Shipping Solutions, UPS Store, Vital Express and Worldwide Express. If you are interested in ownership of a packing and shipping, pack and ship or packaging and shipping franchise, you will find the best franchising opportunities as well as information to help you to purchase a single franchise, multi unit ownership, franchise area development, become a regional developer or own a master franchise territory. As a small business owner starting out, you will find franchises at various investment levels and franchisors will assist you with info on making a purchasing decision as well as how to start to develop your business after the buying and purchase process.